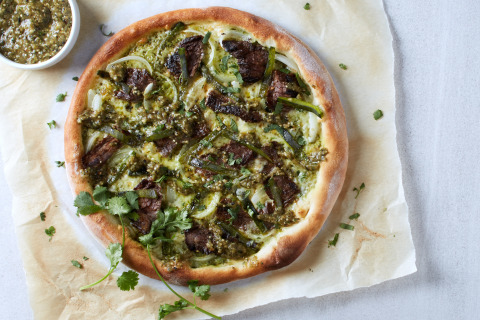 excited to bring back one of our fan-favorites, the Carne Asada Pizza. reveal hints to the Hidden Pizza Dough’s whereabouts via the contest’s microsite. its way to their city. icons they find, the more chances they have to win! For full terms and conditions, please visit www.cpk.com/nationalpizzamonth2016. For a limited time, superfans can eat their pizza and wear it, too. and check in to begin earning rewards for dining creatively. and like us on Facebook at http://www.facebook.com/californiapizzakitchen. CPK is approaching 300 restaurants in 16 countries around the world. on California Pizza Kitchen, visit http://www.cpk.com/.